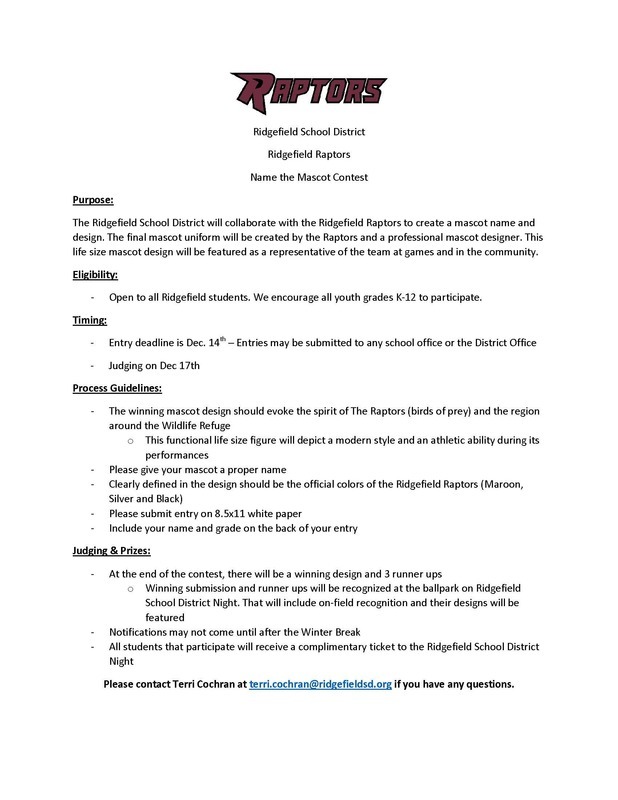 Help the Ridgefield Raptors design and name their mascot. The "Name the Mascot" Contest, open to all youth in Grades K-12, is now underway! Entry deadline is December 14th. All entries receive a complimentary ticket to Ridgefield School District Night when the winning name and design will be announced. The winner and three runner up winners will also be recognized.